It’s practically a rite of passage for an American child to visit Washington, D.C. either on a school field trip or as part of a family vacation. But families aren’t the only ones making the trip to this city. It is full of business travelers as well. Fortunately, some hotels really go out of their way to cater families. These are the best family hotels in Washington DC. They make a child’s first trip to the nation’s capital a truly memorable experience. Where should you stay in Washington DC with kids? Trekaroo has found the best kid-friendly hotels in Washington DC for families. Grand Hyatt Washington is consistently voted a Trekaroo kid-friendly hotel in Washington DC due to its convenient location for families. Metro Center Station, serving the red, blue, orange and silver Metro lines, is located right downstairs from the hotel’s lobby. There is no need to even walk outside in order to catch trains to the National Zoo, Arlington Cemetery, and Reagan National Airport. The White House and Smithsonian National Museum of American History are both within a 10-minute-walk of the hotel, making it simple to come back to the hotel mid-day for a rest or a snack. Trekaroo families who have stayed at the Grand Hyatt loved the comfortable beds, convenient outlets and charging stations, and bedside reading lights. These amenities and the top location make this one of best hotels for families in Washington DC. Trying to decide where to stay in Washington DC with kids? Read full reviews from families on The Grand Hyatt Washington. Found your family-friendly Washington DC hotel and looking to visit some museums during your stay in town? Here’s a list of the Smithsonian Museums that your family can visit for free. Undoubtedly, most families come to Washington DC to enjoy some history. Sometimes historic places and young children don’t mix well. But, at the Omni Shoreham even families can enjoy a historic Washington DC hotel. The Omni has hosted countless inaugural balls and many notable guests. At check-in, children are welcomed with smiles and a small backpack full of activities as part of the “Omni Sensational Kids” program. Later their first evening, children are treated to complimentary milk and cookies in their room at this family-friendly Washington DC hotel. The Omni Shoreham might not be downtown, but it is just a 10-minute-walk from the most kid-friendly destination in town, the pandas at the National Zoo. This is certainly one of the best hotels for families in Washington DC near the zoo. Trying to decide where to stay in Washington DC with kids? 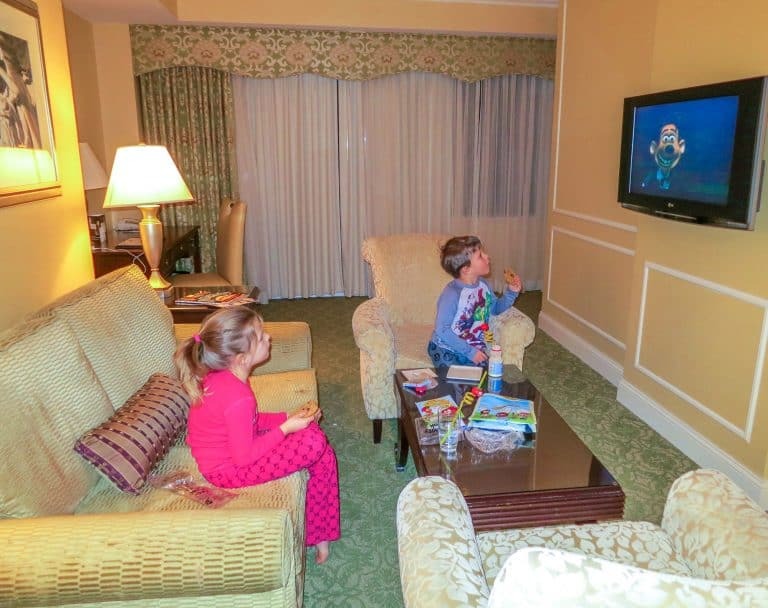 Read full reviews from families on The Omni Shoreham. Deciding where to eat dinner with tired kids who have spent the day walking the memorials of the National Mall can be challenging. It’s nice to have options at a kid-friendly Washington DC hotel. The night we stayed at the Hilton Garden Inn Downtown, we decided to take advantage of a seasonal, kids-eat-free promotion at the restaurant. However, we could have also ordered room service, warmed up refrigerated leftovers using our room’s microwave, or simply walked to dozens of restaurants within minutes of the hotel. It’s rare to find an in-room refrigerator, Keurig coffee maker, and microwave at a downtown hotel. The Hilton Garden Inn Downtown has it all. It is one of the most kid-friendly hotels in Washington DC. The hotel also has a small pool, suites with excellent-quality sofa beds, a quiet location, and a nice selection of kid-friendly television channels. Trying to decide where to stay in Washington DC with kids? Read full reviews from families on The Hilton Garden Inn Downtown Washington DC. Found your family-friendly Washington DC hotel? Check out Trekaroo’s Guide to Visiting Washington DC with Toddlers and Young Children. Everyone needs a good night’s sleep to keep up with the pace of a busy city like Washington DC. 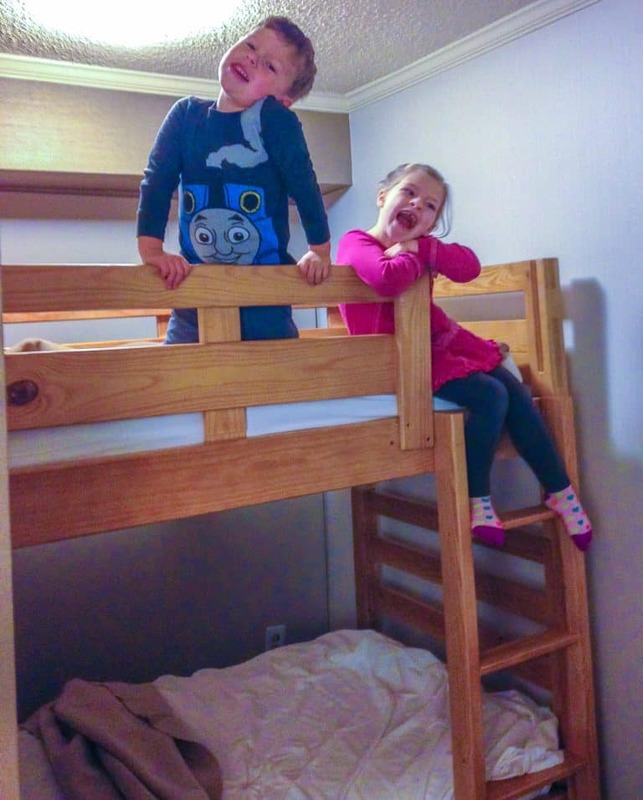 Fortunately, a couple of Kimpton’s kid-friendly hotels in Washington DC, including Hotel Madera and Hotel Rouge, have bunk bed rooms available. With the kids quietly tucked away in their own beds, everyone can get a better night’s rest for the next day of sightseeing. On a cool morning, grab a complimentary cup of hot chocolate for the kids and coffee for the adults to fuel your day of sightseeing as you head out the door; marshmallows and whip cream are available to make the start of the day even sweeter. 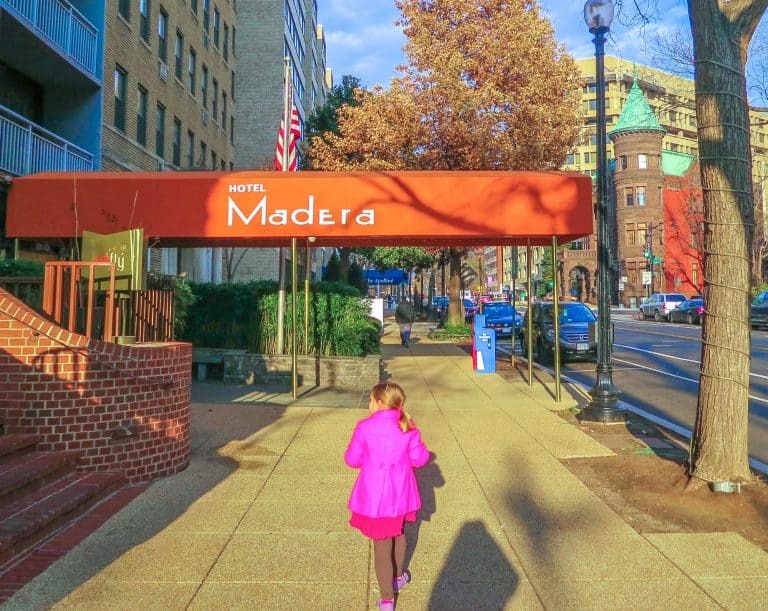 Hotel Madera is just a five-minute-walk from the Dupont Circle Metro Station and a 15-minute-walk from the White House. This is certainly one of the best of Washington DC’s family-friendly hotels. Trying to decide where to stay in Washington DC with kids? 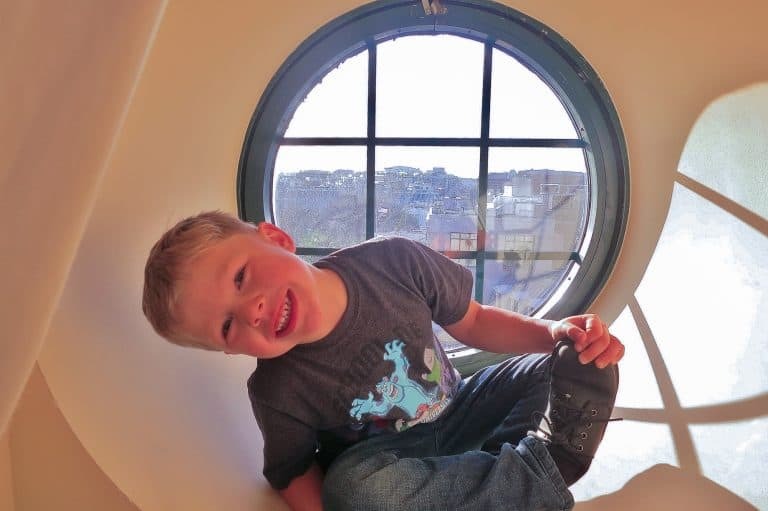 Read full reviews from families on The Hotel Madera and The Palomar Hotel, another kid-friendly Kimpton hotel loved by Trekaroo families. Families visiting Washington DC during the winter months are likely to spend a lot more time at their kid-friendly hotel than those traveling during the summer months. Yes, seeing the monuments after dark should still be a part of your family’s itinerary whether you visit in January or June. But, in January it is dark earlier and the temperatures will send you inside much faster. After walking around the National Christmas Tree in freezing temperatures just after dark, our family had plenty of time for a swim before bedtime at the CAMBRiA hotel & suites Washington DC Convention Center. My kids splashed around happily for over an hour in the rooftop indoor pool while I took in the view of the US Capitol and Washington Monument at this family-friendly Washington DC hotel. Of course, the pool is a great feature for families traveling any time of year. In addition, the hotel’s family suites are relatively spacious at this family-friendly Washington DC hotel. The buffet breakfast, available at a reasonable price, is a great way to start off a full day of exploring the nation’s capital at this kid-friendly hotel in Washington DC. Trying to decide where to stay in Washington DC with kids? Read full reviews from families on the CAMBRiA hotel & suites Washington DC Convention Center. Do you like the flexibility to be able to cook meals on the road? Maybe there is a picky eater in your family and you’d prefer the option of being able to cook a healthy meal rather than buy another hot dog from a roadside vendor. Possibly, food allergies in the family make dining out a stressful experience. Avenue Suites Washington DC has a full kitchen in every one of their family suites. Better yet, families don’t have to do their own grocery shopping; Avenue Suites partners with the Trader Joes just across the street to bring your groceries to you in their Stock-the-Fridge program. Dining out is always an option too at this family-friendly Washington DC hotel. Avenue Suites is just a 10-minute-walk from the Georgetown’s cupcake shops and cafes. This hotel is one of the best hotels for families in Washington DC that want to cook for themselves. Trying to decide where to stay in Washington DC with kids? Read full reviews from families on Avenue Suites Washington DC. The Christmas decorations at The Willard are legendary. And, speaking from experience, the Easter decorations featuring cherry blossoms aren’t too shabby either. The beauty doesn’t end, however, the moment that families step into the elevators and out of the lobby. 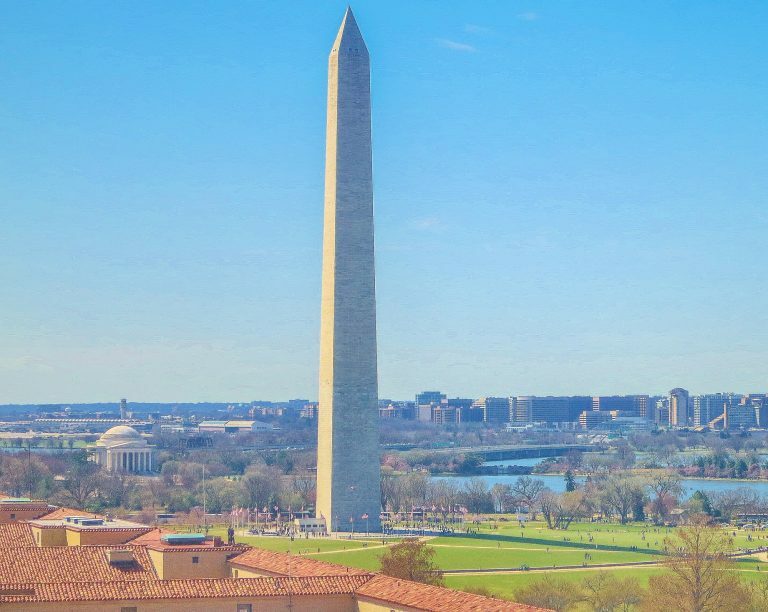 The views of the National Mall and Washington Monument from the circular windows on the top floor of The Willard are among the best in Washington DC. Families especially love the spacious rooms at this historic, luxury, family-friendly Washington DC hotel. 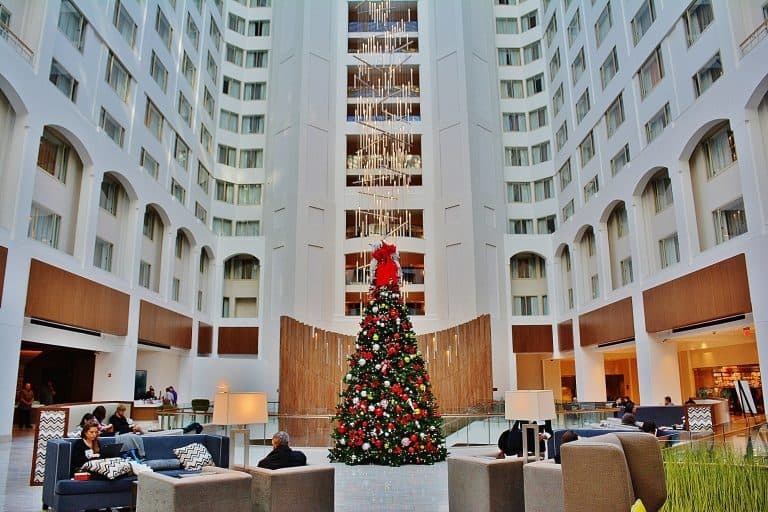 Whether you’re in town for the lighting of the National Christmas Tree or the White House Easter Egg Roll, the short walk across the street to the White House can’t be beat at this kid-friendly hotel. It is certainly one of the best hotels for families in Washington DC. Trying to decide where to stay in Washington DC with kids? Read full reviews from families on The Willard. Families that are driving into the Washington DC area might not want to deal with the underground garages and valet parking fees. Extra fees are common at the kid-friendly hotels within walking distance of the National Mall. Many hotels in Alexandria offer free parking and access to the Metro via a complimentary shuttle bus. Alexandria is located located just south of Washington DC across the Potomac River in Virginia. From the King Street Metro Stop in Alexandria, it takes less than twenty minutes to arrive at the L’Enfant Plaza Station just steps from the National Air and Space Museum. Families driving to Washington DC from the north or the south find that Alexandria is quite easy to access from I-95 and the beltway. 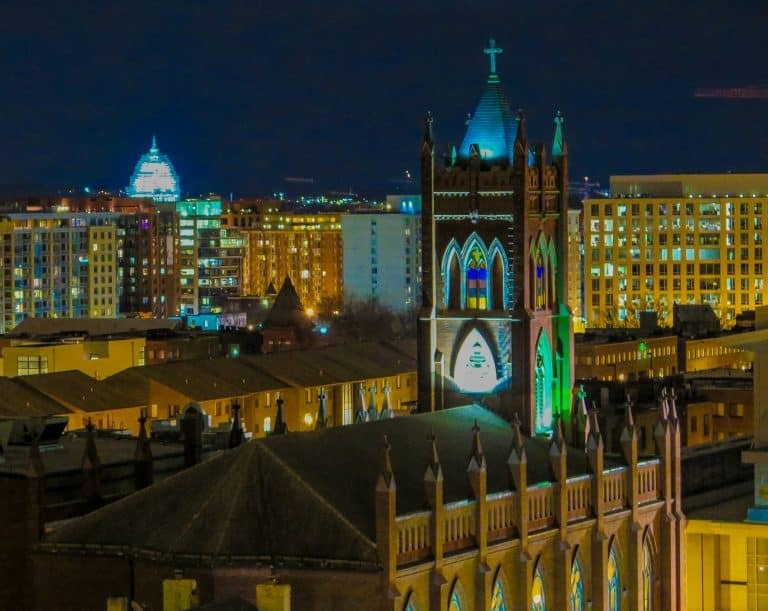 The hotels in Alexandria are a good alternative to the best hotels for families in Washington DC if you are traveling with a car. While Alexandria has a charming downtown historic district, the most budget-friendly hotels are found in more suburban areas. These chain hotels often offer complimentary breakfast and indoor swimming pools in addition to free parking. 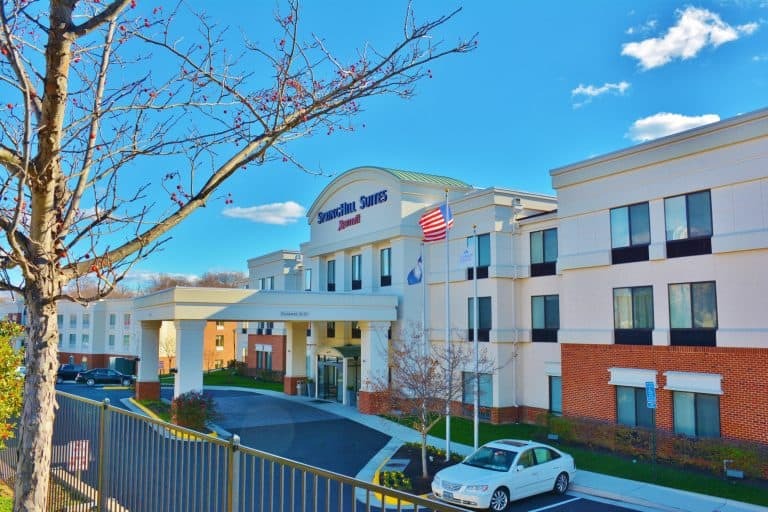 On a recent trip up to the Nation’s Capital, one Trekaroo contributor found Springhill Suites Alexandria a convenient base for exploring the area. She loved how easy the kid-friendly hotel was to access from the beltway, the well-stocked complimentary breakfast and the pool where her daughter could play at the end of a long day in the city. Found your family-friendly Washington DC hotel? Explore our recommendations for the Top 10 things to do with kids in Washington DC. The Peninsula. If star styled pampering is more your thing, then you will want to choose this resort in Beverly Hills. This resort is located in the midst of celebrity homes and it is the ideal sport for a modern-styled vacation. From shopping on Rodeo Drive to eating at find restaurants, this resort can be your base for many different activities. If you are in the mood to be pampered, then you will want to visit the spa to take part in one of their many different relaxing treatments.